Super Motherload is a 1 to 4-player co-op digging adventure with a fully voiced cast of Soviet characters and a procedurally-generated world. 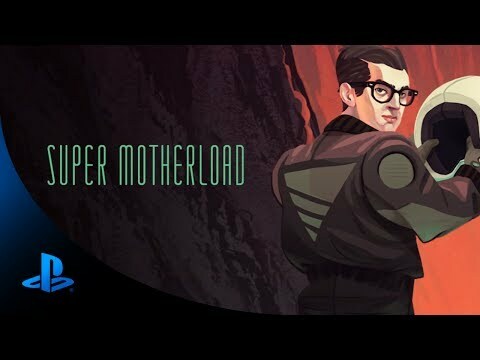 Set on Mars in an alternate Cold-War era, Super Motherload is a 1 to 4-player couch co-op digging adventure with storyline by Image Comics' Kurtis Wiebe, a fully voiced cast of characters and a procedurally-generated world. Purchase powerful upgrades and supplies for your mining pod as you progress, as well as rare Specials Abilities. You, the player, work for Solarus Corporation, an inter-planetary mining operation that harvests the precious resources of Mars to meet demand back on Earth. Soon after being dropped on Mars, you begin to discover that things aren't quite as they seem.